Cape Town Airport is the main entry point for people visiting the Mother City but what options are available to passengers once they land at the airport to get around. Passengers may have booked themselves a rental car to get around at their will, but some people do not like the idea of going through admin bureaucracy directly after a long flight. Public buses are an option to go straight to the hotel and settle in, but again there is a timed interval between buses which means a bit of a wait until boarding the bus for its scheduled stops in and around the city. Private taxis are also an option but they can turn out to be rather expensive. There is a way to get a private car to transfer you from Cape Town Airport to your destination. This is in the form of the Cape Town Airport shuttle services. What are Cape Town Airport Shuttle Services? Airport shuttle Cape Town services are essentially a drop off or pickup transport service to people in need, of getting from place to place. In terms of airport shuttle at Cape Town Airport, it means that a shuttle can be booked in advance to transport passengers to and from the airport. There no longer needs to be a mad dash to find transport when leaving to the airport to go home, nor to hustle about upon landing in Cape Town. You would know in advance that your transport from Cape Town Airport to your hotel is sorted. Even with the convenience of a private taxi, there still is the need to flag one down or maybe even a wait for one. With services from airport shuttle Cape Town, passengers will get prompt transport, whether to the airport or to their hotel. Then there is the issue of payment. With the airport shuttle Cape Town options, your payment can be done in advance when the shuttle service is booked. 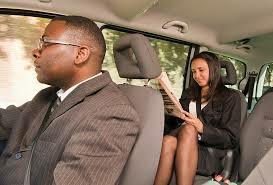 Besides a safe and reliable vehicle, Cape Town Airport shuttle services offer a comfortable drive to your destination. Cape Town Airport shuttle can be done in sedans or people carrier vehicles depending on the number of passengers that will need to be transported. 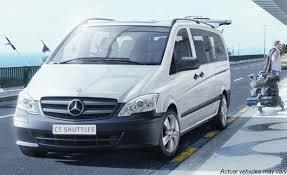 Cape Town Airport shuttle services are available 24 hours a day. They can be booked online, anytime and from anywhere. There are many companies providing airport transfers in Cape Town. Airport transfers in Cape Town can be booked by contacting one of the many shuttle providers by email, booking form or telephone. 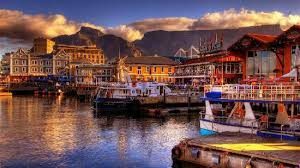 Simply give in the date and time that you will require the transfer, the number of passengers and the destination either to or from the Cape Town Airport. From this, you would receive a quote. Payment must be made to confirm the scheduled service and you would have a friendly driver waiting to get you from point to point when you are in Cape Town.